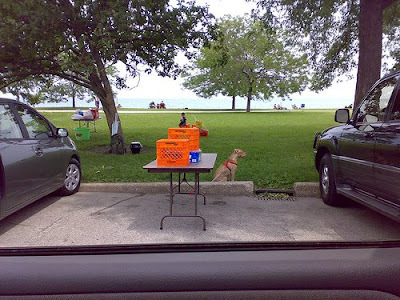 Free parking along lakefront to end Reviewed by Edgeville Buzz on May 16, 2009 . At the end of the summer the Park District will begin charging $1/hour to park in 4,400 spots along the lake that until now had been free. 537 other spots which already have a meter will see their rates double or quadruple. The plan, which no doubt will be unpopular with visitors who enjoy utilizing the lakefront for free, is expected to generate $700,000 for the Park District in its first year alone and help them avoid future layoffs and service cuts.